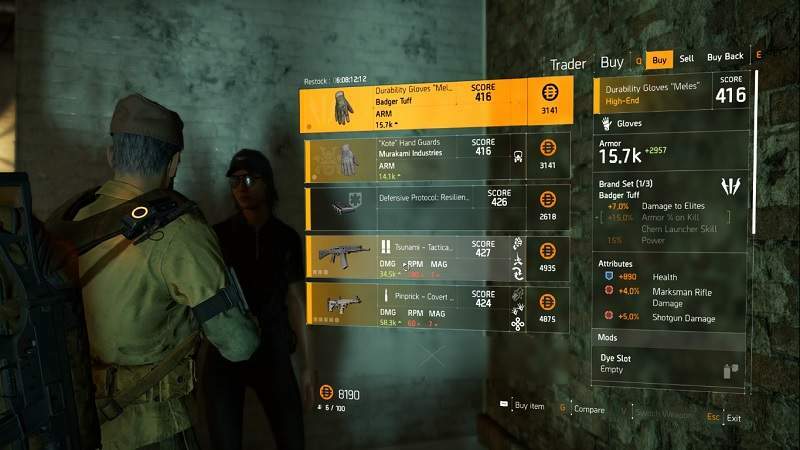 Cassie Mendoza in Division 2 is one of the secret vendors who sell powerful High-End items. Locating her is very easy but unlocking her as a secret vendor is hectic as she will be available only for sometime and then vanishes from that location. 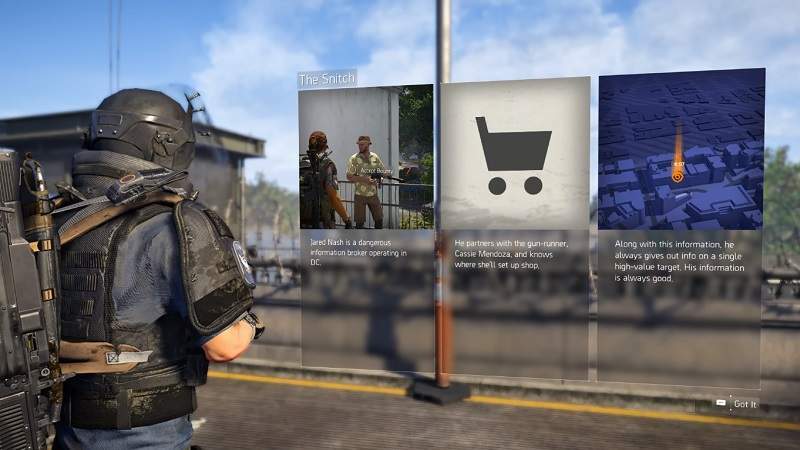 This division 2 guide will show where to find Cassie Mendoza on the map and unlock her as a secret vendor. Where to Find and Unlock Cassie Mendoza? Just like other secrets in The division 2, finding a secret vendor is just another secret task. Too unlock Cassie, you must first locate Snitch(NPC). Open the Map and fast travel to 1040 Safe House where you will find Snitch at the end of South East exit door. Interact with him until he drops a Bounty at his feet. You have exactly 15 minutes to complete the bounty once you pick up from Snitch. Open Map and fast travel again as close as you can. Enter the area and get ready to kill all the enemy groups and keep moving forwards towards the deeper area into the street. You will now encounter a random boss so there is no specific strategy to defeat him. Once you kill the boss, the Secret Vendor Cassie will appear on the map. Note: If you fail to defeat the boss or die during the Bounty mission, Snitch will be deactivated and you will have to wait to try again. If you manage to complete the Bounty successfully then Cassie will appear randomly somewhere on the map. Open the Map and look for the shopping cart icon. Mark and follow the direction, but try to do locate quickly as she only stays in the same place for a certain amount of time(check the timer on the upper-left corner of your map). Cassie sells High-End Powerfull gears and weapons in Divison 2 in exchange for E-Credits(obviously). Hint: If you are lucky enough then there are chances you might stumble upon her quest accidentally. Keep your eagle eyes steady while exploring. 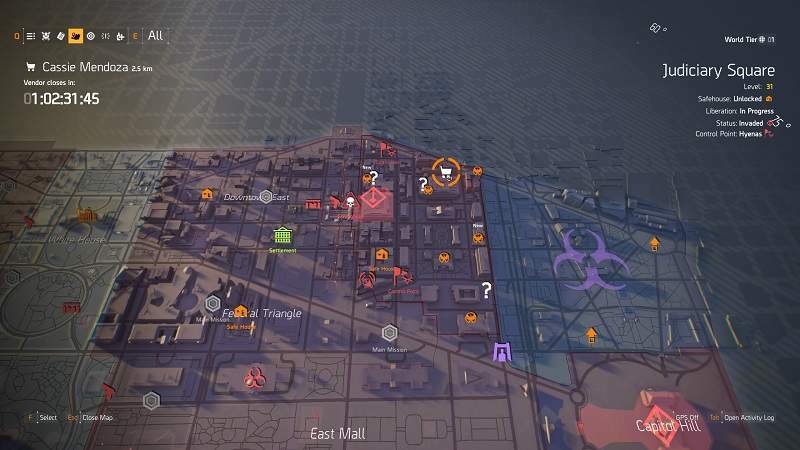 If you have any more location for Secret Vendors in Division 2 then do let us know in the comments below. Do check our Division 2 Wiki Guide for more Tips, Tricks, and Cheats.